Bricks of baked clay have been used in construction for a long time, and buildings made of this material are distinguished by enviable strength and durability. Ceramic bricks, whose technical characteristics are at a high level, are made from some types of clay. Its operational properties are determined by the quality of raw materials and the exact observance of production technology. The manufacture of this type of building material is a complex process consisting of several stages. Currently, there are two technologies for the production of ceramic bricks. 1. The plastic method involves the molding of a block of clay mass with a water content of about 17-30%. To implement this process, a belt press is used, then the brick is dried in a specially equipped chamber or under a canopy. At the last stage, it is fired in a furnace or in tunnels, the cooled products are placed in the warehouse. 2. Semi-dry pressing technology. The initial weight at the same time has a humidity in the range of 8 -10%. The process of forming a block is carried out by pressing under high pressure up to 15 MPa. Brick production is carried out in strict accordance with national standards GOST 7484-78 and GOST 530-95. In the process of preparing the mass, clay processing machines are used: rollers, runners and pug mills. Brick molding in modern enterprises takes place on high-performance belt presses. The homogeneous structure of the blocks and the absence of voids is achieved through the use of shakers. Drying of raw bricks is carried out in chambers or tunnels. In the first case, a batch of products is loaded into a specially equipped room, where the temperature and humidity change according to a given algorithm. In the second variant, raw trolleys are successively conducted through zones with different microclimate parameters. Brick firing occurs in special kilns under certain conditions. The temperature regime is selected depending on the composition of the raw material and its maximum values ​​vary from 950 to 1050 ° C. The firing time is chosen so that at the end of the process the mass part of the vitreous phase in the brick structure reaches 8-10%. This indicator provides the maximum mechanical strength of the product. The raw material for the production of bricks is the clay of the small fraction, which is mined in open pits using single-bucket or rotary excavators. Ensure the proper quality of products is possible only when using materials with a homogeneous composition of minerals. Factories for the manufacture of bricks are built near deposits to reduce transportation costs and reliable supply of the company with mineral raw materials. The main types of ceramic bricks differ in purpose and are divided into private (other names: construction or ordinary) and facing. 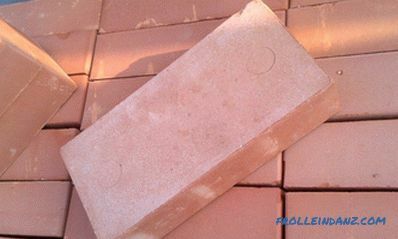 Ceramic bricks, moreover, can be monolithic or hollow, and its surface spoon and bonded can be made smooth or grooved. In this case, products of the same type often combine several features, so an ordinary block is made full-bodied or with cavities. The laying of stoves or fireplaces is carried out from a special fire-resistant (fireclay) brick, and for paving of paths its special type is used - a clinker. Ceramic brick and its structure. Physical and chemical properties and technical parameters of the product largely depend on the internal structure. One of the indicators that vividly characterize these qualities of ceramic brick is density. 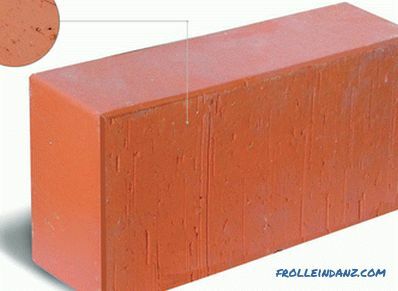 It directly depends on the fractional composition of the raw materials, the variety and porosity of the building brick. The density of a ceramic brick determines its class, which is indicated by a numeric code ranging from 0.8 to 2.4. The indicator indicates the weight of one cubic meter of building material, expressed in tons. In total there are six classes of products, the introduction of this indicator greatly simplifies accounting and records management in the construction industry. Knowledge of such an indicator as density is necessary for carrying out settlement and design work and determining the ultimate loads on foundations and load-bearing elements of a building. The homogeneous structure of the brick provides him, on the one hand, high mechanical strength, on the other - low thermal insulation properties. In the case of application for the construction of a monolithic brick building, additional measures should be taken to warm the walls. In order to reduce the mass of the product and its thermal conductivity, cavities of different shapes are left in it. Hollow can be both ordinary, and facing ceramic brick. The shape and depth of the holes is determined by technology and can be very different: round, slit or rectangular. The voids in the body of the product are arranged vertically or horizontally, in some varieties they are made through in others closed on one side. The direction of the holes with respect to the plane of loading has a noticeable effect on the mechanical strength index. Thus, a brick with horizontal voids cannot be used when laying bearing walls, it may be destroyed by the mass of the building structure. In the manufacture of hollow blocks save up to 13% of raw materials, which reduces their cost and makes it more accessible. 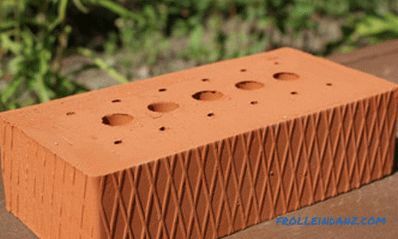 Improving the thermal performance of a brick is possible by increasing its porosity. To do this, add a certain amount of the mixture to the raw mixture: finely chopped straw, peat or sawdust. Inclusions in the firing process burn out and pores filled with dry air are formed in the body. This circumstance has a significant impact on the thermal conductivity of the building material. Hollow ceramic bricks with rectangular voids. 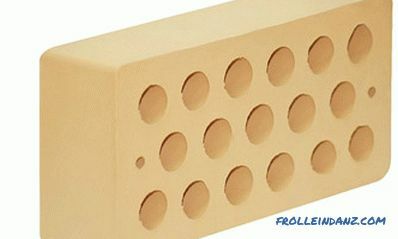 Hollow ceramic bricks with round cavities in the center. The physical properties of ceramic bricks largely depend on their internal structure. Thermal insulation capabilities of the product are characterized by a coefficient of thermal conductivity. Its value indicates how much heat is needed to change the air temperature by 1 ° C with a wall thickness of 1 m. The thermal conductivity coefficient is used in the design process of a building when calculating the thickness of external walls. There is a direct relationship between the density of ceramic bricks and its insulating properties. 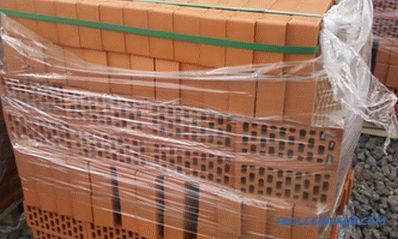 Solid ceramic bricks with thermal insulation characteristics, which are relatively low are usually used for construction of supporting structures. For walls made of such material additional insulation is necessary. The use of hollow or slotted products can significantly reduce the thickness of enclosing structures in low-rise buildings. The presence of dry air in voids significantly reduces heat loss through the walls. The presence of pores in a ceramic brick can contribute to the penetration of water and vapor into its structure. The moisture absorption coefficient depends on many factors and first of all on the density and some other material characteristics. For corpulent products, its value ranges from 6 to 14%, which is a rather low figure.This has a positive effect on the strength and thermal insulation characteristics of bricks. The safety of brick buildings and structures directly depends on the stability of the heating. 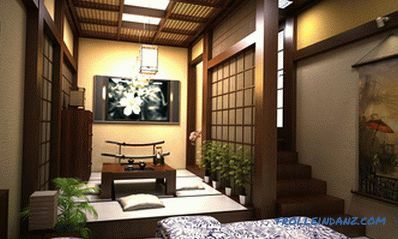 Reducing the temperature inside the room to the level of the street contributes to the penetration of moisture into the pores and the accumulation of water in them. Its crystallization during freezing causes the formation of stresses and microcracks, which gradually destroy the material of building structures. Such an indicator as vapor permeability is directly related to the ability to absorb water. In any habitable room, the humidity of the air increases due to human activity. The regulation of this parameter involves brick walls, which are able to actively absorb and release vapors into the environment. This indicator for ceramic bricks is at a level of 0.14 - 0.17 Mg / (m * h * Pa) and this is enough to create a comfortable microclimate in an apartment, house or office. The permeability of a material is determined by a special coefficient. This indicator characterizes the density of the penetrating flow through a surface of 1 sq. M. m for one hour. Ceramic brick is widely used when construction of buildings in different climatic zones of our country. The ability of a material to withstand low temperatures is called frost resistance. In accordance with the national standard, the quantitative expression of this indicator is determined by cycles. In fact, this is the number of years that a properly erected wall can withstand. The frost resistance of ceramic bricks is indicated in the form of an alphanumeric code from 50 F to 100 F. This means that if masonry is properly performed and heating is constant during the winter period, the building will last from 50 to 100 years. Ceramic brick is highly resistant to external influences and extreme temperature fluctuations. The fire safety of buildings is determined by the ability of building materials to withstand high temperatures and an open flame. Ceramic brick is a non-combustible building material, and its fire resistance depends on the type. This indicator is determined by the time that the wall can withstand the minimum thickness before its destruction. Ceramic brick has a maximum fire resistance among other building materials over 5 hours. For comparison, reinforced concrete is able to withstand fire for no more than 2 hours, and metal structures for less than 30 minutes. An important parameter of material resistance to fire is the maximum temperature it can withstand. 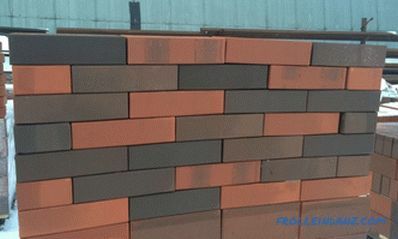 For an ordinary brick, it is 1400 ° C, and for chamotte or clinker brick it exceeds 1600 ° C.
This building material is distinguished by its ability to damp acoustic oscillations in a wide frequency range. 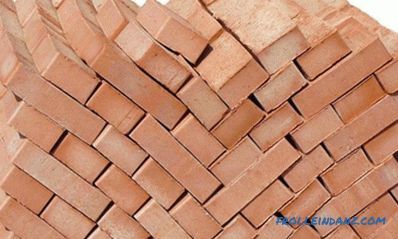 The sound insulation properties of ceramic bricks meet the requirements of SNiP 23-03-2003, as well as GOST 12. 1. 023-80, GOST 27296-87, GOST 30691-2001, GOST 31295. 2-2005 and GOST R 53187-2008. Ceramic bricks perfectly absorb acoustic vibrations. The sound insulation index of ceramic bricks is taken into account when conducting acoustic calculations of buildings and individual rooms. 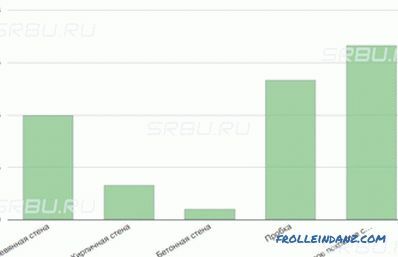 When this is taken into account the level of sound power and the location of radiation sources. 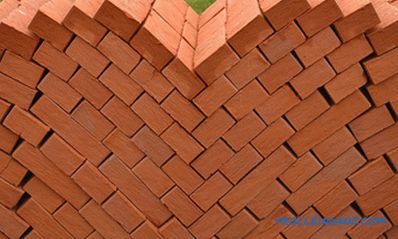 The wall of hollow ceramic brick has better characteristics in this parameter than a similar structure of blocks with a monolithic structure. However, building thick brick walls to increase sound insulation is not very effective. 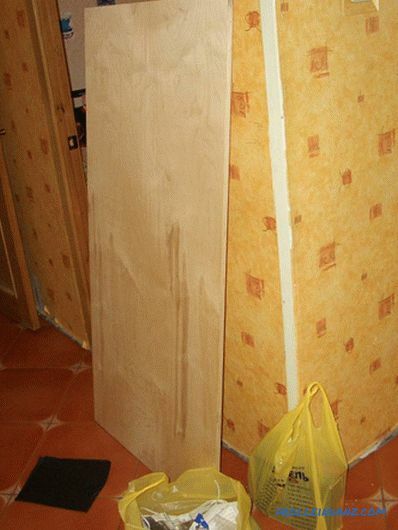 This is because if the wall thickness is doubled, the level of sound insulation increases by only a few decibels. Currently, great attention is paid to the influence of materials on human health and the environment. Ceramic brick is a product that is made from natural raw materials: clay by high-temperature calcination. This material does not emit harmful and toxic substances during the operation of residential and industrial buildings and structures. production facilities and much more. 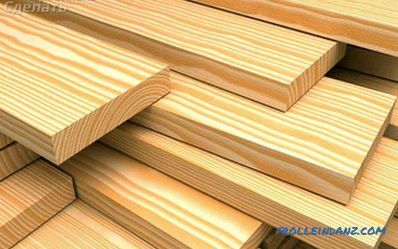 In terms of environmental friendliness, this material is able to compete with natural wood and natural stone. In the premises, built of ceramic bricks, a healthy environment is formed, safe for habitat, health of both children and adults. The standard strictly sets the maximum deviations from the nominal dimensions of the product. The length of the ceramic brick should not differ from the reference value by more than 4 mm, 3 mm in width and 2 mm in thickness. The permissible manufacturing error in the angle between perpendicular edges is no more than 3 mm. Such requirements for the accuracy of products make it possible to produce masonry for large building structures with minor deviations. The standard allows the manufacture of ceramic bricks with other nominal sizes that are not listed in the table. Such products are manufactured by special order and when the parameters are agreed between the customer and the manufacturer. At the same time, requirements for the accuracy of linear dimensions and geometry of the block are preserved in full. 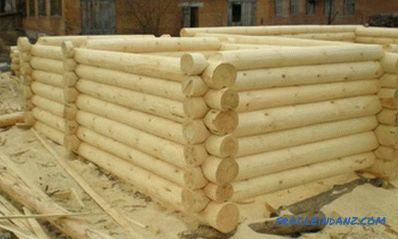 The described building material is widely used for the construction of structures of various purposes. Special types of ceramic bricks are used for laying combustion chambers and furnaces of stoves and fireplaces. Another type of products is indispensable for paving footpaths in the courtyards of individual houses and landscape gardening zones. These products meet certain requirements. Fire-resistant or fireclay bricks are highly resistant to high-temperature effects ranging from 1,400 to 1,800 ° C and open fire. Up to 70% of refractory clay is introduced into the composition of its molding mass, which prevents the product from breaking down during cooling. Quartz. Designed for masonry stoves, serving as a reflector. Chamotte. Used for masonry stoves and fireplaces, the most common type of refractory bricks. Primary. It is made of magnesian-calcareous masses and is used in metallurgy for the construction of smelting furnaces. Carbon. Used in some industries for the construction of the domain, it includes extruded graphite. 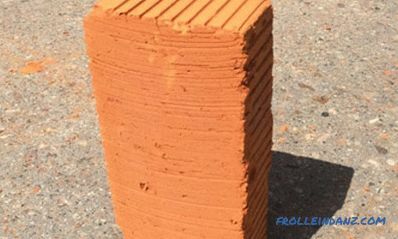 Clinker brick is intended for cladding facades and basement parts of buildings, paving floors in the interior of industrial buildings and walkways on the street. The product has a high mechanical strength, wear and frost resistance, capable of withstanding up to 50 cooling cycles to extreme temperatures, followed by heating. The strength mark of the product is not less than M400 provided by high density and special requirements for the composition of raw materials. Ceramic bricks are allowed to be transported by all types of land, water and air transport in compliance with the relevant rules. For ease of transport and preservation, the product is packaged on standard pallets of a specified size. It is not allowed to transport this building material in bulk with subsequent discharge to the ground, such actions cause damage to up to 20% of products. 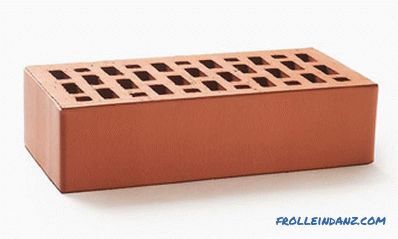 Long-term storage of ceramic bricks is carried out under a canopy on hard-surface sites. 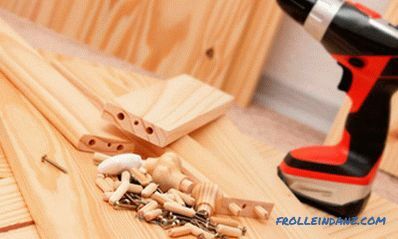 Products can be placed on pallets in one or more tiers or in piles directly on the floor. Loading and unloading operations are carried out in a mechanized way or manually in compliance with the rules and safety measures.